for the Lord is my Shelter. From My Heart to New Mothers. I have a very inspiring pastor. Over the course of several weeks, he taught about prayer. It's very crucial in a Christian's life and often underused. Did you know the average Christian prays for only 3 minutes a day? I was thinking about that.. and well, it takes about a minute to say grace for our meals. Three meals a day would be three minutes a day. Gosh, how convicting that was for me. My prayer life is a roller coaster. Sometimes it can be truly consistent and those times are when I feel God's presence the most. Then, all the distractions roll in and I'm suddenly too busy. How I miss the presence of the Lord! My soul hungers for him. I decided that I will make a new resolution this year. I know I am a whole month early, but no one really has to wait until Janurary 1st ;) My resolution is to have a stronger prayer life. My pastor suggested that we start a prayer list. We can make one by writing down prayers that are needed and list them so we don't forget. We can write down the answers we get from God for these prayers. That part will help me be more thankful to God because I don't always remember to thank him! For a friend of mine in his journey is come to me, and I have nothing to set before him? And he from within shall answer and say, Trouble me not: the door is now shut, and my children are with me in bed; I cannot rise and give thee. I learned that importunity is like persistance. Imagine the man knocking on the door for a need to ask of his neighbor and his neighbor is telling him to go away because he's asleep in bed. The man continues to knock and is persistent, and then the neighbor arises and gives him what he needs. It is not because the neighbor liked that man or even wanted to help, but it was because of the man's importunity. And don't forget that our father is SO Much More generous and merciful unto his children than an angry neighbor. I have decided to take Jacque's challenge for the first time. She has a wonderful blog and one of her activities is called "Saturday Psalm &Praise!" Go visit her wonderful website when you get the chance! She is a very wise and Godly woman! I will post the lyrics to a song that I have always loved since I was young. I used to have a Twila Paris cassette tape and I would play it in my car. This one is called "Watch and Pray." Enjoy! I read several chapters in the Bible that preceed Revelations. I wanted to highlight some important verses that are worth remembering. "This then is the message which we have heard of him, and declare unto you, that God is light, and in him is no darkness at all. But if we walk in the light, as he is in the light, we have fellowship one with another, and the blood of Jesus Christ his Son cleanseth us from all sin." If we all take the time to look at ourselves and our lives, would we see the light of God in it? If we walk in darkness and do things that are not of God, then how can he be in us? We are to walk in the light and keep his commandments to be of God. "And hereby we do know that we know him, if we keep his commandments. He that saith, I know him, and keepeth not his commandments, is a liar, and the truth is not in him. But whoso keepeth his word, in him verily is the love of God perfected: hereby know we that we are in him. He that saith he abideth in him ought himself also so to walk, even as he walked." How many of us say we 'know' God and his son, Jesus Christ? A lot of people will say this, I can tell you this. But only a few truly know God by keeping his commandments and walking with Jesus. Those who have succeeded in this enjoy a fellowship with God in us that is hard to describe to others. It is knowing God by getting to know him personally. Do you know 'of' God or do you KNOW HIM? And I found an interesting verse in 1 John 2:2 and thought it would address directly to the ongoing Calvinism debate. Jesus Christ died for the entire world and his blood is sufficient to cover all, but it can only reach those who choose to receive it. Every single one of us have the choice to either receive or reject his blood. "Beloved, believe not every spirit, but try the spirits whether they are of God: because many false prophets are gone out into the world. And every spirit that confesseth not that Jesus Christ is come in the flesh is not of God: and this is that spirit of antichrist, whereof ye have heard that it should come; and even now already is it in the world." There are many false religions and false prophets who appear to be godly but they are great deceivers. Many religions are created and worship their own deities, but if they deny that Jesus Christ is the son of God, the messiah who came to save the world, then they are deceivers and an antichrist. "He that believeth on the Son of God hath the witness in himself: he that believeth not God hath made him a liar; because he believeth not the record that God gave of his Son. And this is the record, that God hath given to us eternal life, and this life is in his Son. He that hath the Son hath life; and he that hath not the Son of God hath not life." There is no life and no salvation without Jesus Christ. Whosoever receives Jesus Christ as their savior has the life. This is made clear for us all. How that they told you there should be mockers in the last time, who should walk after their own ungodly lusts. These be they who separate themselves, sensual, having not the Spirit. Keep yourselves in the love of God, looking for the mercy of our Lord Jesus Christ unto eternal life." We see this everywhere in the world now. We have become comfortable with the comfort, luscious, and sensual things. We have it all, don't we? The world is full of lust and enticements that draw us away from the Lord. The world walks after it's own lusts, seeking to fufill these things thereof. In the end, is only more emptiness and an endless search to satisfy. Many people have become hard, bitter and they scorn God. We are God's children and we walk in him, not of the things of the world. The Bible encourages us to keep building ourselves up to be better, stronger and more closer to God. The time is near and we all need to be ready. There is a great falling away right now. The people in the world and the people in God are becoming more and more seperate. Where do you belong? My mom is my best friend and we are always watching over each other. She taught me how to be strong, how to be wise and she taught me about Jesus. I will always be grateful. My sister and I are close friends. She makes me laugh with the funny things she says. I love getting her letters even though she lives two hours away. I wish her the best things in life and I know we will always be there for each other no matter what. 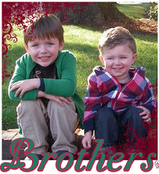 My two boys are the best presents anyone could ever give me and God gave them to me. I adore them to pieces! 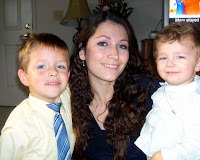 Being a mother has given me an amazing purpose and I want to give them the best life they can have. The way to do that is to bring them to the Lord. Nothing is greater than this. I am so thankful for Lisa and her family. They have become our second family. They are SO good to us and have a beautiful heart of giving and love. They welcomed us in their home, helped us through hard times and Lisa is an amazing example as a wife, mother and God fearing Christian. I am thankful for the bloggers and my Christian friends that I have gotten to know better this year! I adore all of you and you all continue to inspire me everyday. I am thankful for an AMAZING God! He is so beautiful to me in every way that he is. He continues to love us, take care of us, guards us and he leads me in his ways. I am very undeserving of his beautiful grace, and at the same time, thankful beyond explanation. I am thankful for an amazing church! The sermons continue to inspire me every single week and encourage me to grow. I encourage all of you to find a church that helps their members GROW more and more and to serve the Lord! There is SO much more than just sitting in church and walking out the same way you came in. It's out there and God can lead you to the right place. I am thankful that I live in a country where I am allowed to worship God freely and where talking about his WORD is not a crime. I am thankful for an endless abundance of things. We may not have everything we want, but we have everything we need. That is what counts! We have a roof over our heads, food in our belly, hot water and a loving family. God provides for our needs and it still puts me in awe when I know that the God of the Universe takes the time to take care of the needs of his people. I've got SO much to be thankful for!! I have not been online in a while because my youngest son climbed on my PC tower and knocked it over. It broke so I have not been able to be online. My good friend is helping me find a used one that I could have so I can get back online. I miss my friends and I miss blogging with you all! Thank you for your comments and I will be back to reply to each of you soon hopefully! I am thinking...about Landon. Poor guy has a terrible headache today. The Tylenol isn't doing much for him. From the learning rooms...are new educational posters from the dollar tree store and days of the week signs. I am thankful for...my two boys, this lovely weather and the peace in my heart! I am wearing... cut off shorts and a tank top since I am staying home all day. From the kitchen... Gonna make some avocado dip for our pirate movie soon! I am reading... the devotional blogs! I love those! I am hoping... that my financial life will improve since I just made some changes & have enough for Christmas presents for the kids! Around the house... are some toy trucks that the kids were playing with, some warm blankets laying around, and medicine bottles on the counter for my little Landon. One of my favorite things... is a delicious cup of coffee in the early morning as I check my messages, and baby kisses & hugs from my boys. A few plans for the rest of the week... Saturday will be our adventure day! I hope Landon will feel better for some fun tomorrow! I am thinking about taking them to visit some pet stores in town! 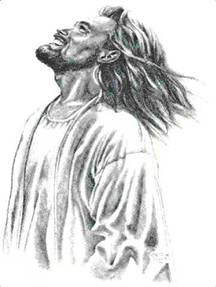 I love this drawing because of the look on Jesus' face as he looks at Heaven. When we turn our eyes to what waits for us above, we will too share that deep, abiding joy that shall be revealed in us for all to see and cannot deny. I wanted to share a personal story with other struggling mothers about how hard it can be to find out when you're pregnant, and that I understand. I was there once before in that same boat. My husband at that time and I were having problems and our marriage was falling apart. He had left. One week later, I was visiting my sister's house and thought it'd be fun to try her pregnancy test. It was sitting there on the bathroom sink so I was tempted. I couldn't believe it when it was positive! I ran to my family and screamed that it was positive! Being pregnant is beautiful and it is a blessing. There is something about a pregnant woman that everyone finds beautiful. She has a glow. There's no feeling like it in the world when there's a baby that is moving inside your belly. All those hopes and dreams lie ahead of you and we fix up the nurseries and pick out little pajamas and booties. That's the way it should be. However, there are hard times and hard situations that we find ourselves in. Being pregnant while getting divorced is one thing. That was definitely not easy because I found myself alone, going through a terrible heart break, and fighting to survive financially on my own. My relatives and a few friends suggested that I get an abortion. To them, it was the perfect solution and the easy way out. I know some of you reading this may be caught in a hard situation. Maybe you're scared. Maybe you think you're all alone. You're not. There is a way. There are people who want to help you. God is with you and so is that little angel inside of you. It may seem like a hard road now, but when you see your child for the first time and hold your baby in your arms, it will be the most beautiful thing you have ever experienced. We become a mother so naturally even if we have never experienced being with babies before! Maybe you're a young mom and feel like you're not ready. 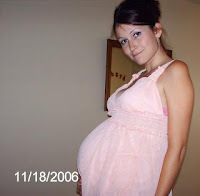 I was pregnant at 19 with my first child. People said my life was over, but that wasn't true. 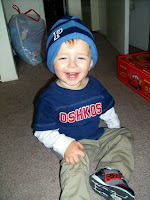 I got to be a kid again with my child and to me, there was so much purpose in my life as a mother. I didn't feel robbed of anything, but I felt like I gained SO much from it instead! To me, both the moments that I held both my boys for the very first time was the most memorable time of my entire life! It was all the Christmases and Disneyland in the world combined in one moment! There was a sunrise in my life that day and I found joy. I realized God had a present inside of us waiting for the right moment to bring SUCH joy in our lives no matter how things may seem now. And now I can't imagine life without my Brady! 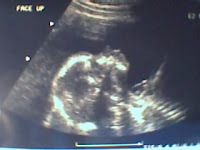 I am so glad I didn't go through with an abortion. I can tell you now that it IS worth it. Right now, go find the right people who will care for you and support your decision to keep your child. There are many resources that can help you financially (WIC, Welfare, SSi (emergency Medical), and tons of programs that help with baby clothes and food!) Remember, God is with you and will never forsake you. You are not alone. I come before you on my knees. Hear my heart's cry. You've given me two beautiful gifts from above. You created life in me, you let me carry them in my womb, and brought them to my arms. You changed me forever and they call me mother. I love them so much and through them, I understand your love more than I ever have before. Lord, you have given my sons to me and I want to give my all in giving them back to you. They are your sons and you are their father. Watch over them all the days of their lives and don't let them depart from you. Let them be the light of the world and the salt of the Earth. Direct their paths and let them glorify you. Let them be righteous and love thy law. Let them praise you with their lips and honor you in all they do. Let them be the Sons of God. Don't let them suffer for the mistakes I made. I pray you will put a hedge of protection around them. Put them under the shelter of your wings and hold them tight with your loving arms. Oh Lord, let me be the mother they need me to be. Let them stand in the Kingdom of Heaven when their days on Earth is over. Let me be their greatest influence, and above all, I want you to be their greatest influence. Let it be stronger than anything that can lead them astray. Oh Lord, hear this mother's prayer. Hear my plea. And thank you for all you've done. I will spend all my eternity thanking you and it still will never be enough! Praise your name, Holies of Holy! Lord God Almighty! The kids and I had a blast yesterday! Instead of celebrating the evil and popular holiday, Halloween, we came up with our own fun day! We call it, "Praise the Lord Day!" We have to say "praise the Lord!" whenever we hear something good! It was funny and the kids enjoyed that idea! We made homemade popcorn balls together and it was SO yummy!! Landon helped me make it and Brady was the official taste tester! ;) Afterwards, we had homemade nachos and meaty pizza while we watched a movie together. We wrestled around afterwards and had fun! It was a good replacement away from the pagan holiday. 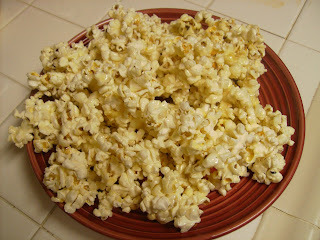 Here is the Recipie for the Popcorn Balls! Hey, if I can make it, so can you!! >In a saucepan over medium heat, combine sugar, corn syrup, butter and water. Stir & heat to hard-crack stage or 300 degrees F. Remove from heat, add vanilla and mix well. > Pour slowly over popped popcorn while stirring. Wait 5 minutes & shape into 3" round balls. This recipie made two plates of this stuff!! p.s. 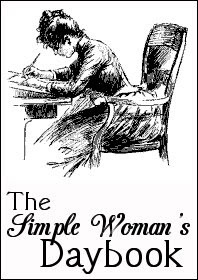 a note about the previous post, "From One Single Mom to Another," I had added a sixth tip about overdrawing from a bank. Someone told me it was the same as stealing. It didn't occur to me until that time, so I felt badly and removed the sixth tip. I wouldn't want to promote stealing on my blog. For those who read it, I apologize. Should Be So Lost in God That a Man Has to Seek Him to Find Her. And I in awesome wonder..
..consider the works thou hast made.